The first Nissan March was introduced in October, 1982 as a 3-door sedan. It was allegedly designed by Giorgetto Giugiaro. It rode on a wheelbase of 230 cm and had a length of 364.5 cm. Engine was a 4-cylinder 987 cc. In September, 1983 a 5-door sedan was added. In February, 1985 a turbo was introduced. By January, 1989 the March Super Turbo was added with a 930 cc 110 PS engine with both a supercharger AND a turbo (this engine was already introduced in the March R by Autech in August, 1988). 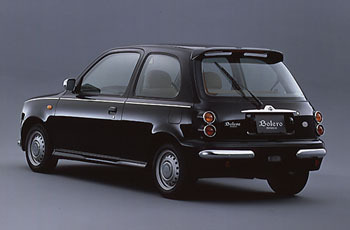 In Europe the car was called Nissan Micra, a 1235 cc engine joined the 987 cc engine in early 1989 and replaced it later. 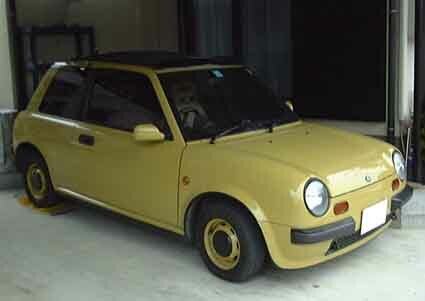 In January, 1987 came the first derivative, the Nissan Be-1 2-door sedan with a length of 363.5 cm. 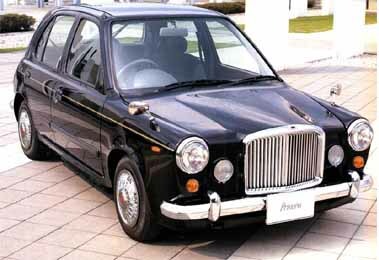 In January, 1989 the Nissan Pao 3-door sedan was introduced with a length of 374 cm. 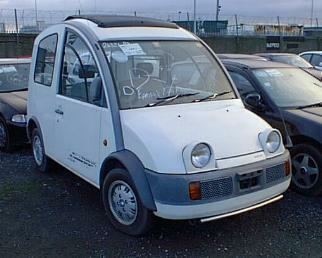 Also in January, 1989 came the Nissan S-Cargo commercial vehicle. In February, 1991 arrived the Nissan Figaro 2-door coupe (with foldable roof center and back window) with a length of 374 cm. 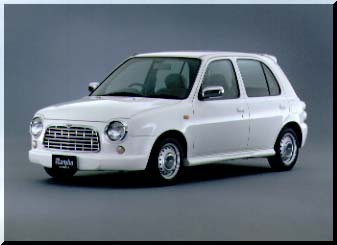 Then in January, 1992 came the second generation Nissan March on a wheelbase of 236 cm with a length of 370 cm as a 3-door or 5-door sedan. The engines were a 4-cylinder DOHC 4-valve 997 cc or 1274 cc. Facelift in May, 1997. A Convertible arrived in August, 1997. In Taiwan there is a 4-door sedan with a length of 399.5 cm since March, 1994. 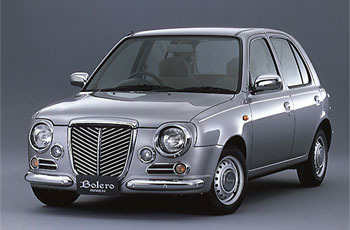 In Japan, in February, 1998 came the Nissan Cube 4-door wagon with its own body (based upon the Cube, Mitsuoka developed the Yuga with a retro body), and in November, 1999 the March Box wagon, as well as a 4WD. In Europe the car is again called Nissan Micra (3-door and 5-door sedans only), a 1527 cc diesel by Peugeot was added for the 1999 model year. In Taiwan there was a new front in May, 1999. 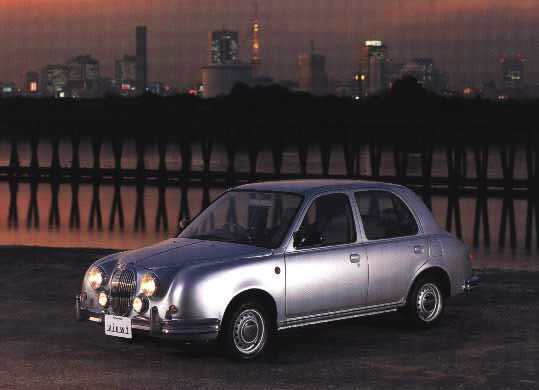 In January, 1993 came the Mitsuoka Viewt 4-door sedan in the style of a Jaguar Mk.II with a length of 425 cm. 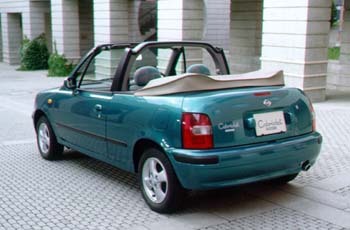 There was also a Convertible (same body as Copel Bonito). Later arrived the 3-door and 5-door hatchback. By November, 1995 came the Lotas Princess 3-door and 5-door sedan, with a VandenPlas Princess grille and rear lights and a length of 370.5 cm. 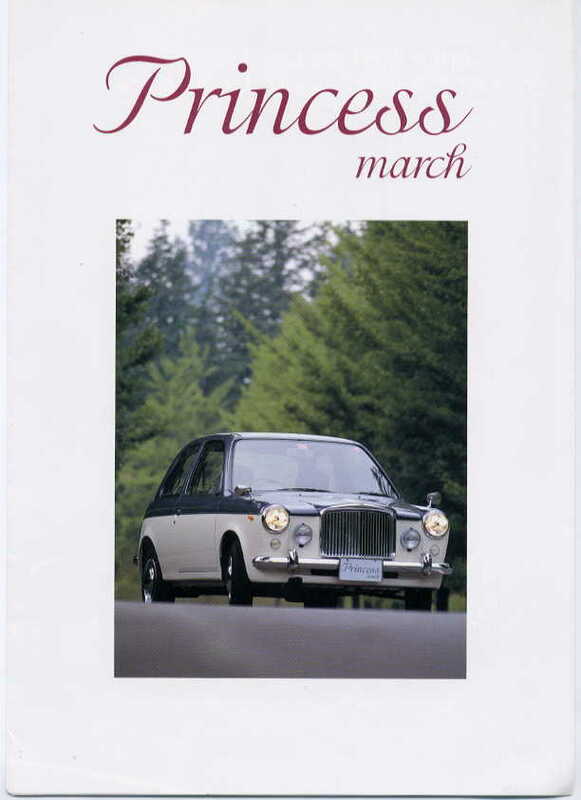 In 1996 came the Mook The Tokyo Princess, another VandenPlas lookalike, also available as a Wagon. 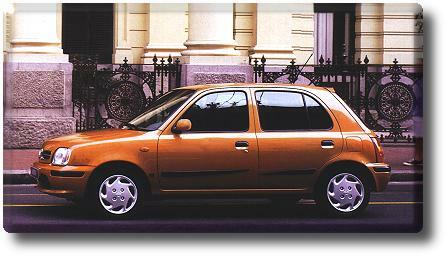 In June, 1996 arrived the March Tango 3-door and 5-door sedan by Autech. In September, 1996 came the Copel Bonito 5-door semi-sedan (Length 396.5 cm) and in May, 1998 the convertible "Fresco" (Length 372 cm, different from the March Cabrio) in the style of the Vanden Plas Princess 1300. 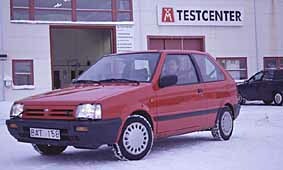 In October, 1997 arrived the March Bolero 3-door and 5-door sedan by Autech. In November, 1998 came the March Rumba 3-door and 5-door sedan by Autech. In Taiwan there is the Nissan Verita 5-door sedan, known in Japan as Altia Euroface MII. 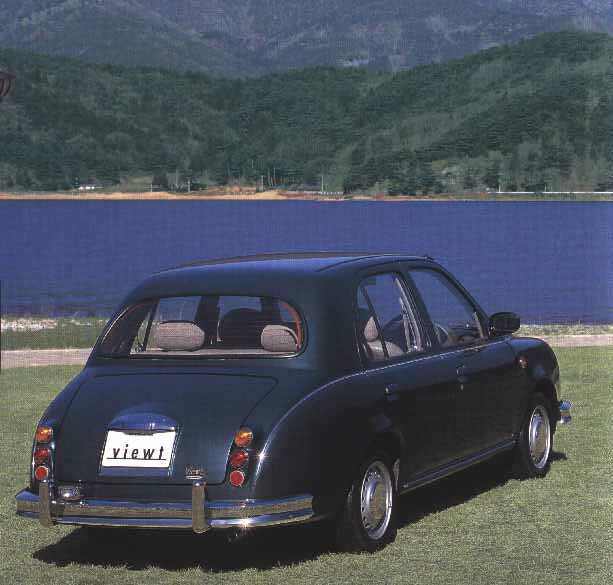 By 1997 came the Marco 1000/1300 3-door and 5-door sedan, with a short trunk and a length of 397 cm. 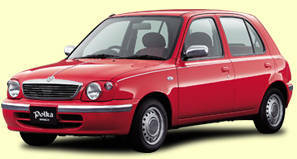 By December, 2000 arrived the March Polka 5-door sedan by Autech. Also, in 2001 Muji is offering a brandless March without badges. The third generation March arrived in February, 2002.